Back Home › Montblanc Heritage Rouge & Noir Ballpoint Pen - Spider Metamorphosis - Coral - Special Edition. Montblanc Heritage Rouge & Noir Ballpoint Pen - Spider Metamorphosis - Coral - Special Edition. 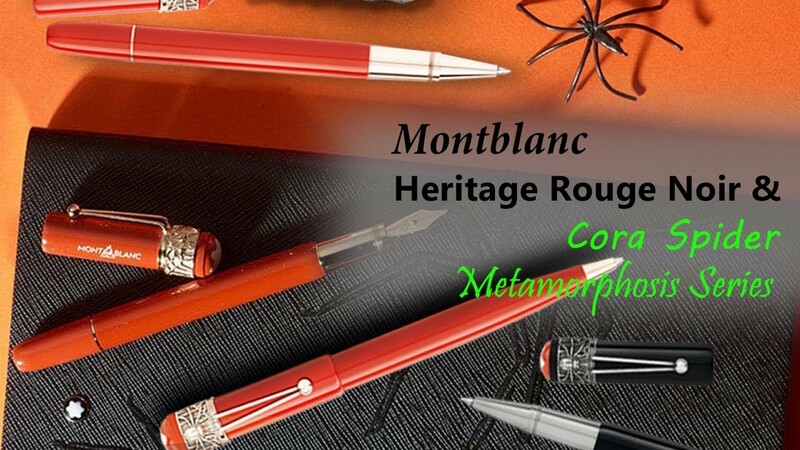 Reincarnation of Montblanc Heritage collection in Rouge & Noir Spider Metamorphosis form of Ballpoint Pen in Coral color exceptionally reinterprets the legendary writing instrument featuring a longer, slimmer silhouette and craftsmanship refined over generations, with a coral precious resin barrel and cap. Spider clip in a champagne-tone gold look with matching fittings is the most enticing catchy decoration of the pen. Refill it with Montblanc Ballpoint Refills to continue writing in the future. Product: Montblanc Heritage Rouge & Noir Ballpoint Pen - Spider Metamorphosis - Coral - Special Edition.